Today we were parked at the Community Centre HS in Leeuwarden, one of the cultural capitals of Europe 2018. There was a big gathering of Eritrean Orthodox Christians celebrating Pentecost in the Centre. 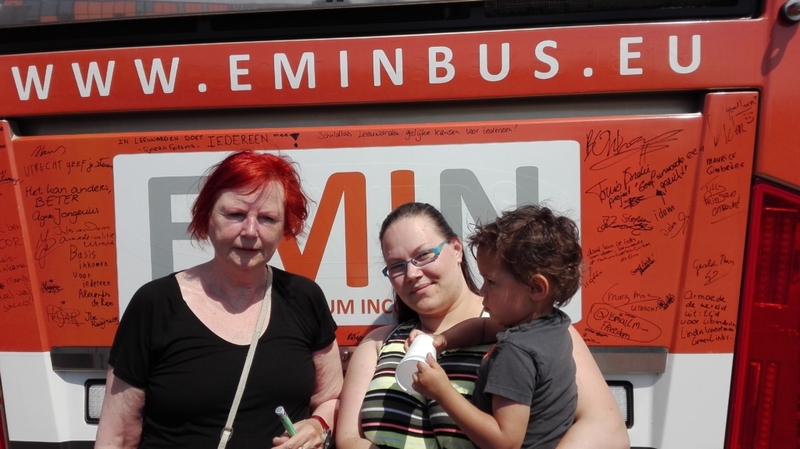 We were honoured that members of the community came to sign the bus. 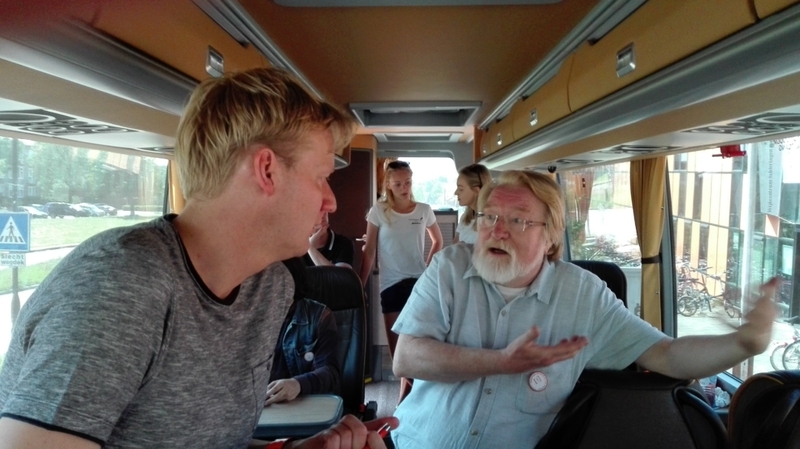 Amid a busy day in Leeuwarden we were delighted that the alderman (wethouder) for the social and cultural area #SjoerdFeitsma took time out to visit and exchange with us on the #eminbus. In the evening discussion in the community centre not only the link between accessible services and adequate income was made but there was also a strong emphasis on building more welcoming societies, more active communities, and overcoming stigma. 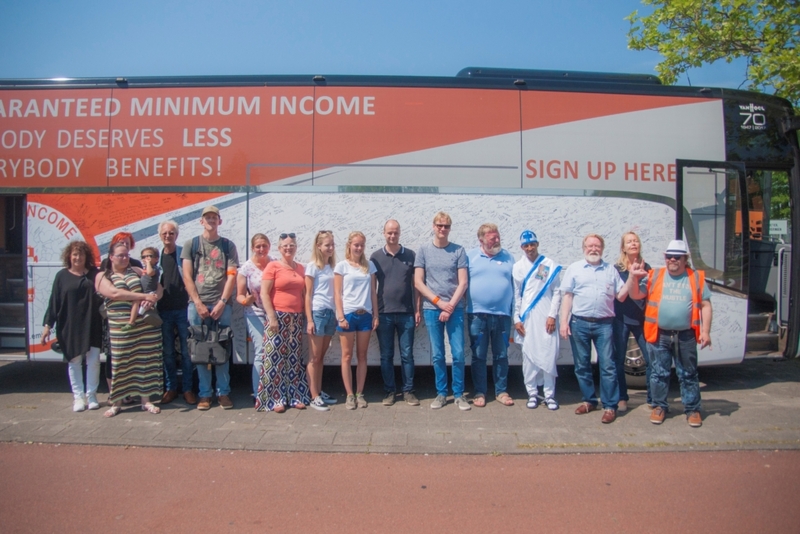 Initiatives to build more active communities were presented from the city and from the Friesland area. There was also an interesting discussion on valuing equally there types of knowledge, experts by experience, academic expertise and expertise that comes from practice. 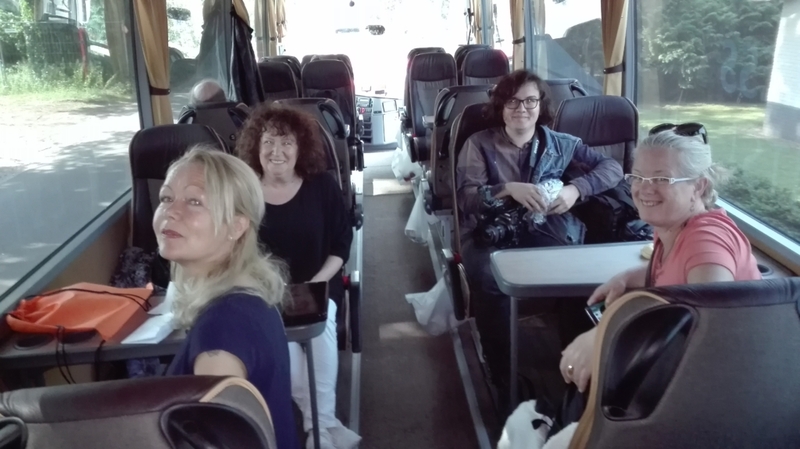 All though our time in the Netherlands we were accompanied by a very active team of Dutch volunteers, Jo Bothmer, Quinta Ansem, Tou-Latu Muskitta, Sonja Leemkuil, Maschinka Groot. It was great spending time with you on the bus.